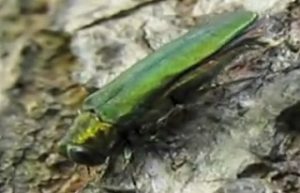 The Emerald Ash Borer is relatively new to the state of Colorado but it’s a beetle that is most concerning to Agricultural Officials. Cities, HOAs and property owners with ash trees can expect the pest to cost them. Unfortunately, there is no way to prevent the spread of the pest infestation and the areas of the metro area that are or will be affected. Property owners can decide to treat the ash trees, replace the trees, or leave them unprotected and replace them as they become affected. There is a cost to the property owner no matter what option is selected. Property owners can opt to treat the ash trees with a pesticide treatment every year. These can be applied by a reputable tree company. Tree removal and replacement are also costly options. Due to the pest infestation, ash trees are no longer a viable choice for tree selection. Our staff can make recommendations for other tree options for your property.